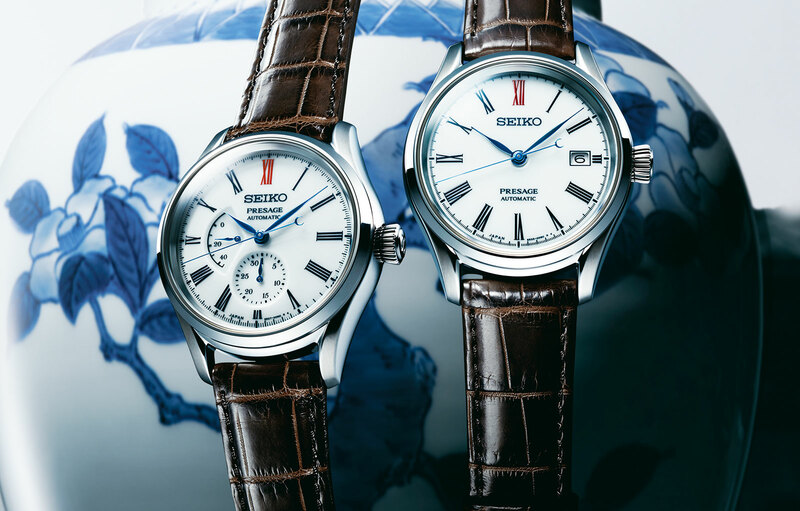 Having already used fired enamel and Japanese urushi lacquer for its Presage dials, Seiko has now turned to Arita porcelain. Named after the town on the island of Kyushu where it is produced, Arita porcelain is prized for its delicacy and colour, but not well suited for dials in its fragile, natural state. So the dials of the new Presage watches are made from a new type of Arita porcelain that boasts four times the hardness of ordinary porcelain. 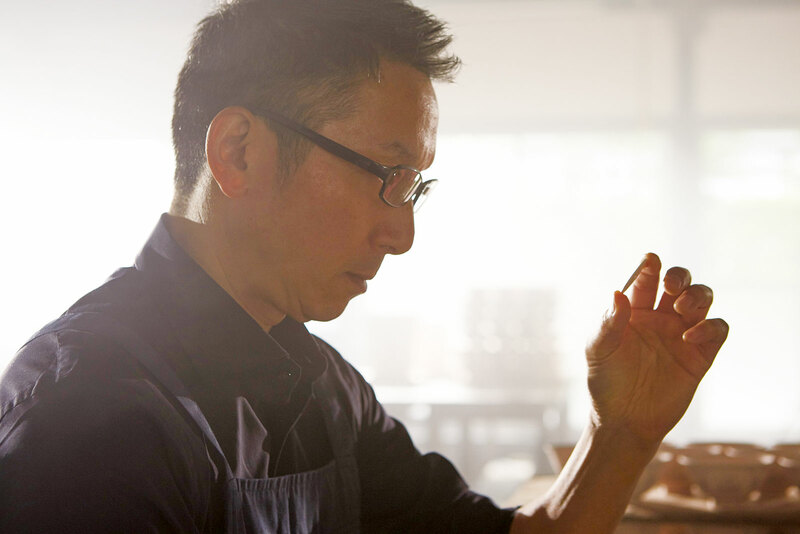 The dials are produced by Hiroyuki Hashiguchi, the chief of Arita porcelain maker Shingama. First, the porcelain is shaped in mould and then fired in an oven at 1300 degrees Celsius, before being glazed by hand with a spray gun and fired once again to set the glaze. 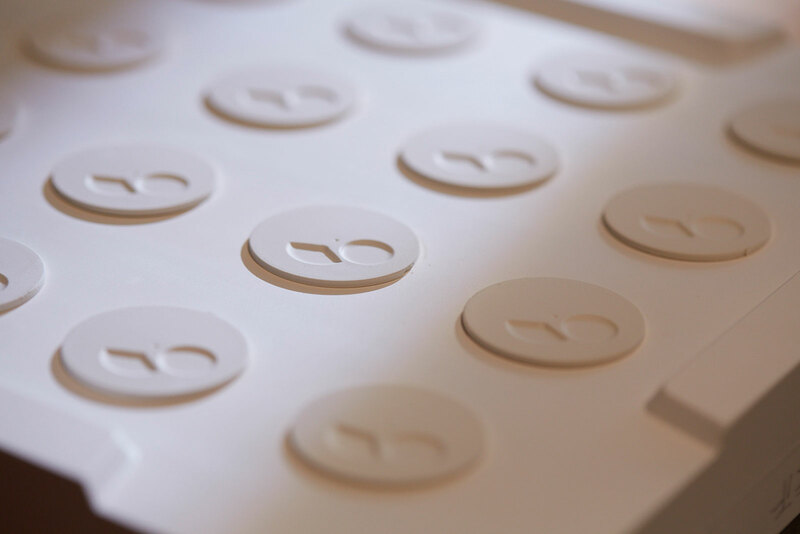 Then the apertures on the dial for the date and hands are cut with laser, followed by another trip to the oven for a third firing to smoothen the edges of the newly cut holes. The result is a smooth and surprisingly glossy surface, with blue markings that are inspired by the colours of traditional Arita porcelain wares. 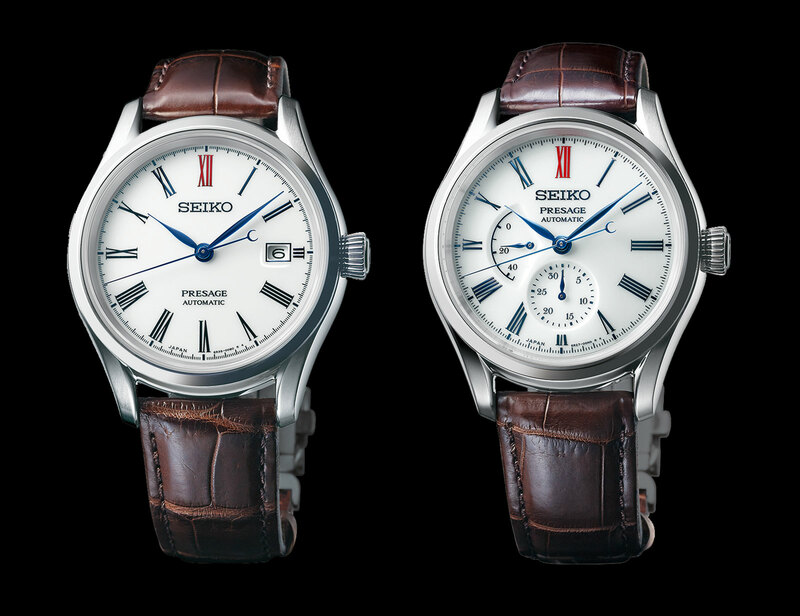 And like several other Presage models, the white dials features a red “12”, a nod to the Laurel, the very first Seiko wristwatch. The line-up is comprise of two watches, the simpler one being a three-hand automatic with date. It’s powered by the 6R35. The second model has a power reserve display at nine o’clock and a date at six. Inside is the 6R27 automatic movement. The Presage Arita Porcelain with power reserve and date (ref. SPB093, or SARW049 in Japan) is priced at 200,000 Japanese yen, or about US$1800. And the three-hand model with a date (ref. SPB095, or SARX061 in Japan), is 180,000 Japanese yen, or about US$1600. Both will be available from September 2019.